Skye Gravestones | Kenneth & Annie (MacDiarmid) Maclean. Kenneth & Annie (MacDiarmid) Maclean. 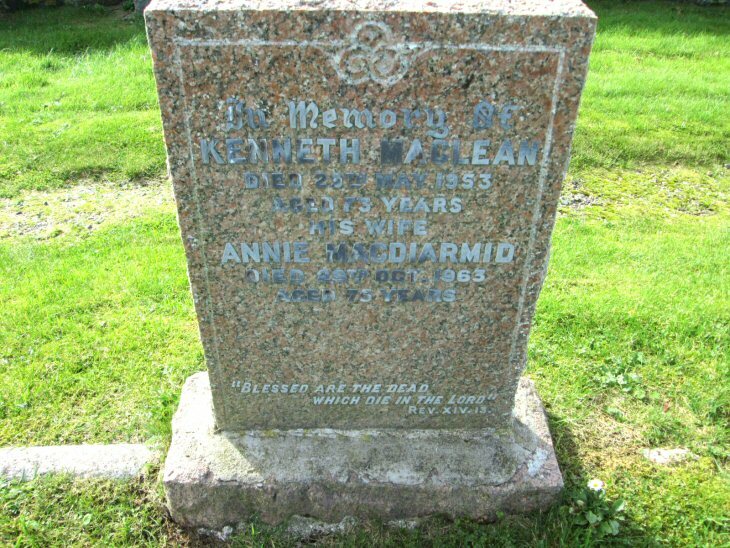 In memory of/KENNETH MACLEAN/died 29th May 1953/aged 73 years/his wife/ANNIE MacDIARMID/died 29th Oct. 1963/aged 75 years. "Blessed are the dead/which die in the Lord."/Rev. XIV.13.